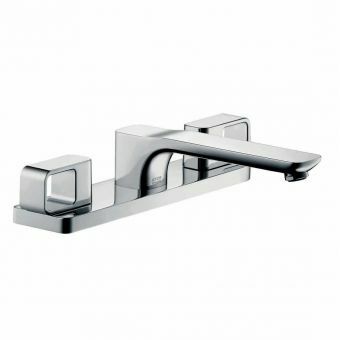 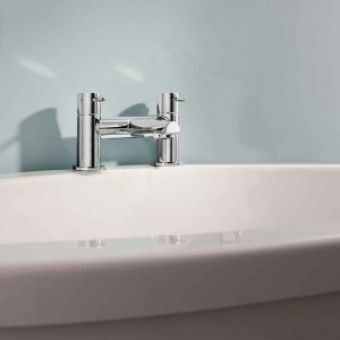 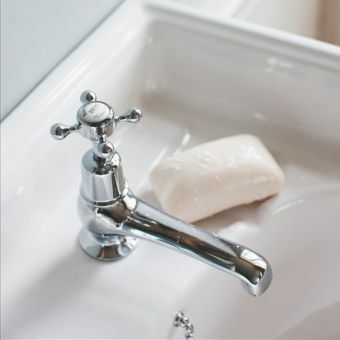 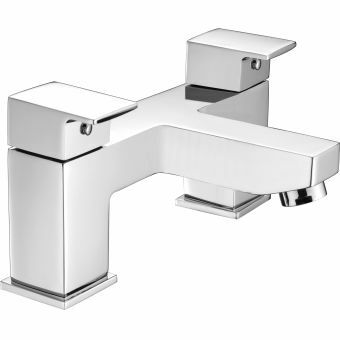 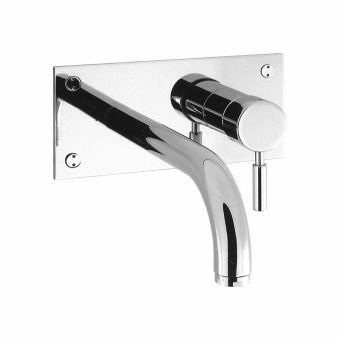 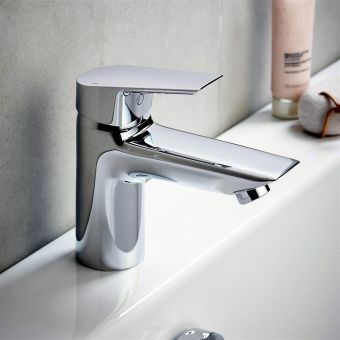 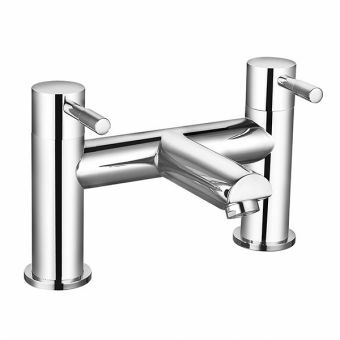 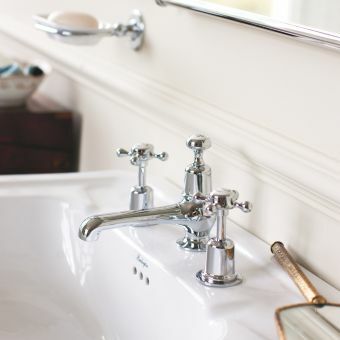 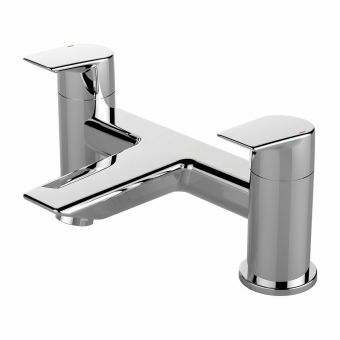 A highly decorative piece of brassware that retains all practicality, this deck mounted bath filler from the desirable Burlington Claremont range is the ideal piece for the traditionally designed interior. 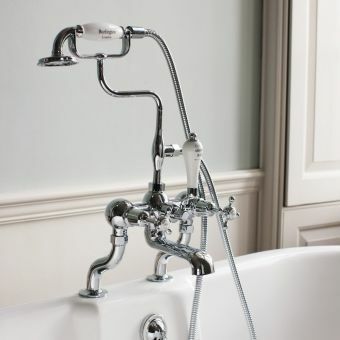 Mounted to the deck area, it stands on stylised legs, crafted into an attractive period motif. 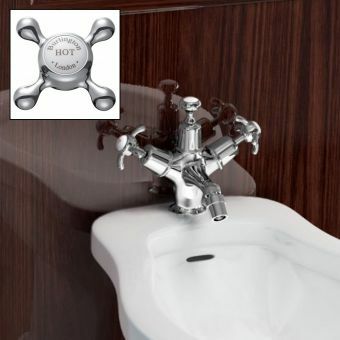 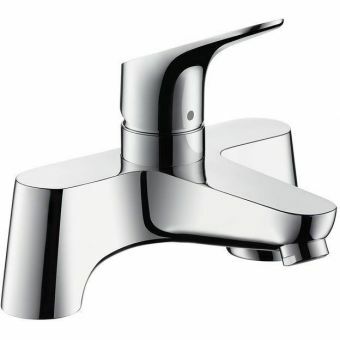 Forward facing valves are inlaid with white ceramic, with hot and cold controls denoted in traditional script. 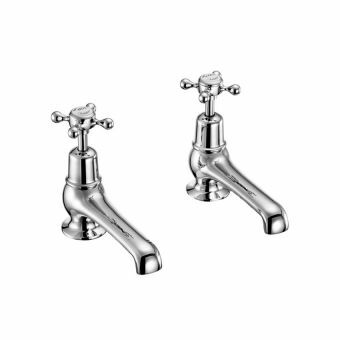 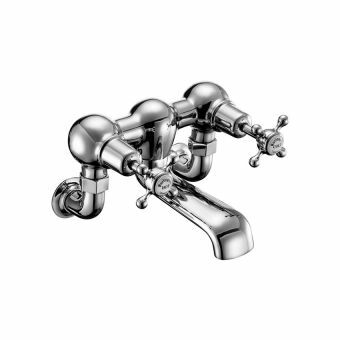 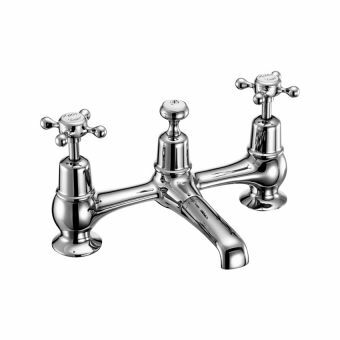 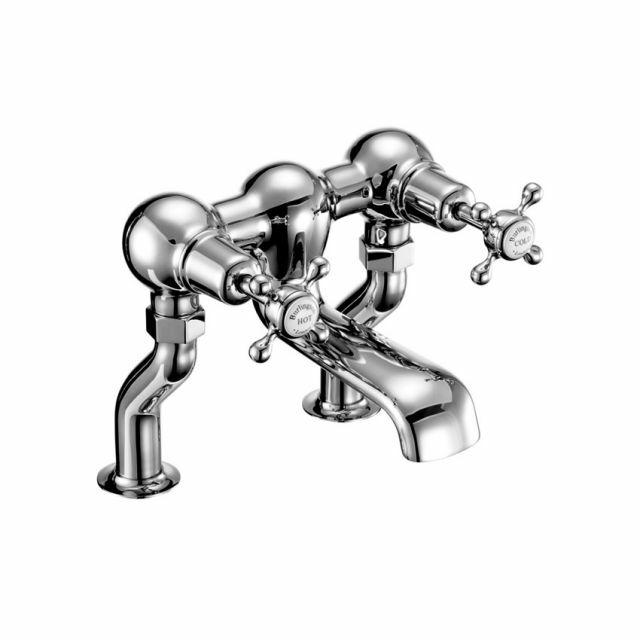 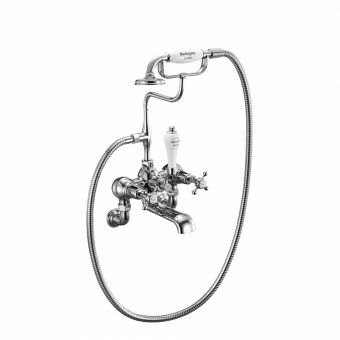 Available in either screw down or quarter turn valves, this highly desirable set brings genuine character and sophistication to the interior.